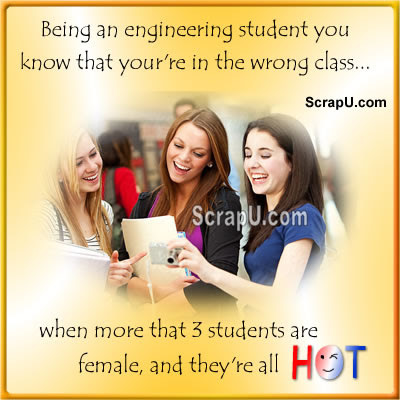 Being an engineering student you know that your're in the wrong class when more that 3 students are female, and they're all hot. 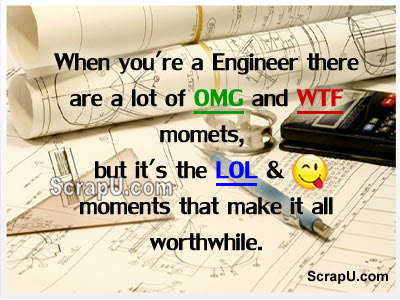 When you're a Engineer there are a lot of OMG and WTF momets, but it's the LOL & :) moments that make it all worthwhile. 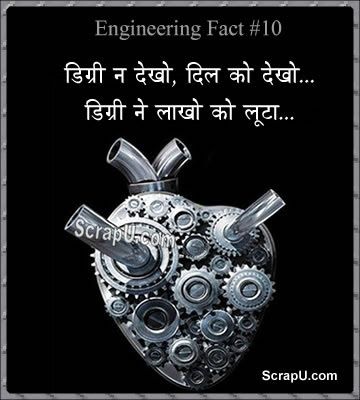 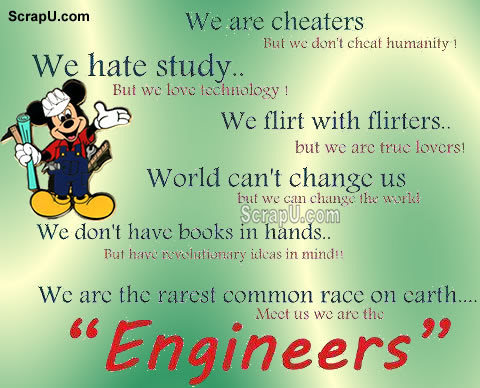 Engineering Fact - We don't need a girlfriend...our assignments irritates us everyday...that's enough.